Two movies opening today have me concerned about the way that contemporary cinema is avoiding authenticity in an age of wartime. If we accept the idea that a movie is, in some sense, an entertainment, then should not the entertainment at least be authentic in some sense? I think of films like My Man Godfrey, The Lady Eve, and It Happened One Night, all outstanding examples of the screwball comedy. I don’t think it’s an accident that the screwball comedy emerged from the residue of the Great Depression and continued on roughly until America became involved in the war. 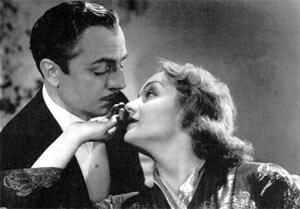 My Man Godfrey offers a wonderful performance by William Powell as the besotted man taken up by Carole Lombard in a scavenger hunt. What Lombard doesn’t realize is that Powell, the ostensible freeloader, is quite loaded. And Lombard’s assumptions about socioeconomic status mirror the class mobility that was very much a reality in 1936. The Lady Eve, written and directed by the great Preston Sturges, likewise plays with issues of class and very much concerns itself with a milquetoast (Henry Fonda), who must find a way to embrace the realities of fortune hunter Barbara Stanwyck. I’ve always thought that Fonda, to some degree, reflected how America was concerning itself with events unfolding in Europe. After all, much of the action takes place on an ocean liner. And Fonda’s diffident spirit seemed to reflect America’s unwillingness to get involved with events across the pond. Then there’s 1934’s It Happened One Night, in which how one survives becomes a running comic theme, as in this moment, in which Colbert is shocked to learn that she’s identified as Gable’s husband, little realizing that this is how Gable’s managed to secure a room before all the bus passengers nab them. What’s great about these films is the way that lively quirks and idiosyncrasies emerge from human moments that are recognizable not only within the framework of the prewar years, but the manner in which they become timeless precisely because they start from human moments. I had hoped for something similar with Miss Pettigrew Lives for a Day. It had the promise of the wonderful Amy Adams, who is proving to be nearly as endearingly effervescent as the great Ms. Lombard herself. Set in the days before Britain became involved in the war, Miss Pettigrew strives to be something of a farce, depicting how its titular character (played by Frances McDormand), who has just been sacked as a housekeeper and cannot find work, emerges quite by accident as a “social secretary” to Adams, who may also be something of an impostor. The only moment in Miss Pettigrew that stirred me, and that had me pondering authenticity in entertainment, is when McDormand commiserates with a middle-aged underwear designer (played in a gruff debonair manner by Ciarán Hinds) she’s spent much of the movie resisting her romantic feelings for. They observe a number of planes heading south while many young pups shout their tally hos on the balcony. “They don’t remember the last one,” whispers McDormand. “No, they don’t.” It was a simple and by no means subtle moment. But I was intrigued by the hushed whispers, the implication of hastily capitulated memory, and it was the only moment in this movie in which I felt the human tensions of this prewar environment. I put forth that such attention to human atmosphere could have made Miss Pettigrew something special, and that such attention could have as easily have been played for laughs and worked. I thought the running gag of McDormand desperately trying to grab a nibble, only to have a dish overturn onto the floor or an apple swept up by a broom, largely unconvincing, in part because McDormand didn’t once convince me that she was hungry. (Melodramatic lines like “I have not eaten for a very, very long time” certainly don’t help matters.) This is not to suggest that Miss Pettigrew is entirely one of those movies that you have playing in the background as you fold laundry. But it simply does not have the effrontery and good sense to concern itself fully with authenticity. It is a film made to run five years from now on some third-rate cable channel. It opts to be mere filler, and we are all the lesser for it. The Bank Job is slightly better, in part because Jason Statham is a charismatic if two-note lead and Roger Donaldson is a good enough craftsman to get some kind of performance out of the rather uninteresting Saffron Burrows, even when she beams, “I’m in a spot of bother,” to remind us heavy-handedly that we are, after all, in London. Statham, at the mercy of loan sharks, gets a lead on a bank and sets out to rob this bank in an effort to secure himself and his family for life. What makes this film work, before it drifts disappointingly into standard heist movie territory, is the intriguing way that Statham and his crew make mistakes. They haven’t committed a robbery before and they jackhammer underneath a restaurant to get to the loot, not thinking that their quite audible work is going to get them some attention. There’s a lookout man outside, but they’re all communicating through walkie-talkies on an open frequency. (This audio is intercepted by a ham radio enthusiast.) These thieves don’t know what they’re doing and, when they remain naive and clueless, this film is often gripping. And this works because these moments are human, dripping with some relative authenticity. But when Statham wises up that he’s being used and transmutes from a car salesman to a badass overnight, the film lost me. Sure, we want these thieves to get away with the crime. And as a balding man, it was good to see a follicly challenged character manipulate politicians and pornographers and talk his way out of situations with bravado. But that’s too easy a dramatic line to pursue. We expect these things out of heist movies. We don’t expect everyday types to become criminals and we don’t expect criminals to screw up. Authenticity, it seems, has become too much to ask of cinematic entertainment. Because it no longer fits into the formula that gets people into movie theaters. But these two films would have been infinitely more interesting had they lived up to the human promise of films that came before. But perhaps that’s too screwball a notion.